Shop :: The Carmel Collection :: Cottage Birds Dinnerware :: Oval Platter 16" x 11"
Sold individually. Each in Marigold, Rose or Sea Green with a Sky Blue center. 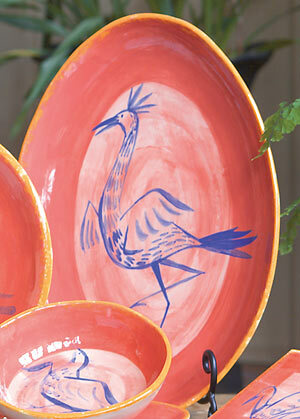 * When ordering Oval Platter, please indicate a tall bird (vertical) or short bird (horizontal) pattern.